WordPress has thousands of themes and plugins that support developers carry out website development. WordPress is a great tool for building sites, but not everyone has the time or resources to create their own website from scratch. It doesn’t mean that they back out from designing a website rather they continue to search easy and new ways to do that. To resolve this problem, WordPress has come up with a fresh concept of blank WordPress themes, which provide a great way to build a customized theme. Professionally, these themes are also known as starter, base, or naked themes. In the WordPress repository, there are various themes categorized into simple, responsive, portfolio, and business themes that are used for representing a business over the web. 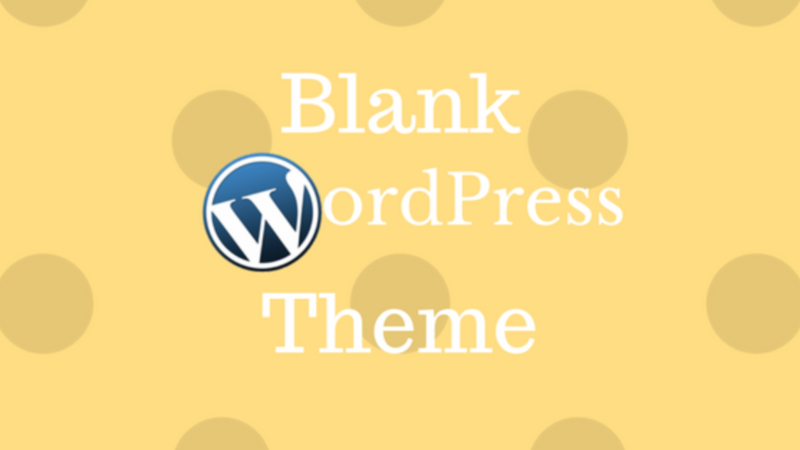 Blank WordPress themes are distinct from all these because you can personalize them. 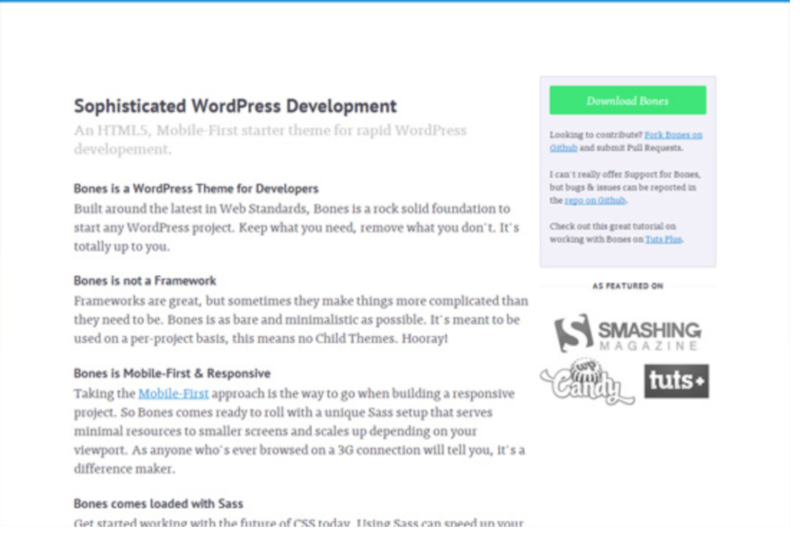 In this blog post, we have assembled some of the best blank WordPress themes. HTML5 is a web-based optimized blank WordPress theme. Created for developers, this theme comes with various custom theme functions which include dynamic sidebar and boilerplate code to integrate WordPress Shortcode API. 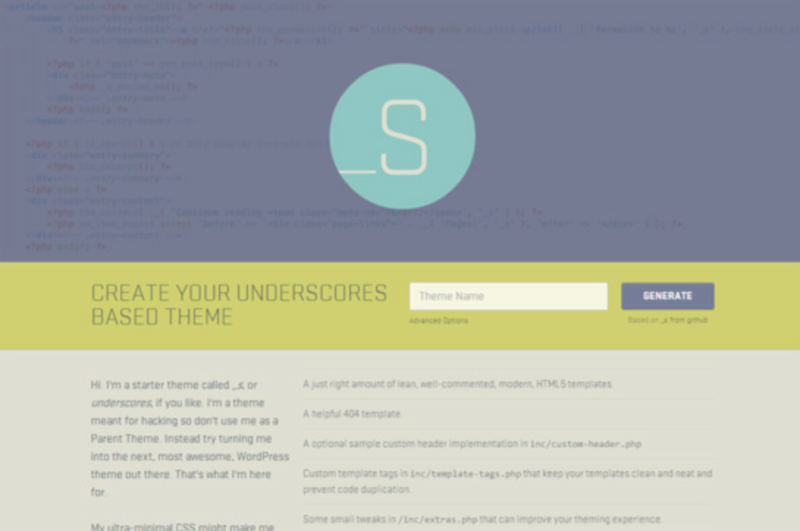 This theme helps you start off with a right track towards developing an appropriately coded and structured HTML theme. This starter WordPress theme is free and aids users with its ultra-minimal CSS. It also ensures that less critical stuff won’t get in your way when you are designing your dream theme. It also comes with five different layout templates that make the development task easier. WordPress has initiated this starter theme with the mobile-first approach to provide a solid base to the users who are looking to developing their own theme. It is a proper theme and not a framework, so you don’t need a child theme to use it. 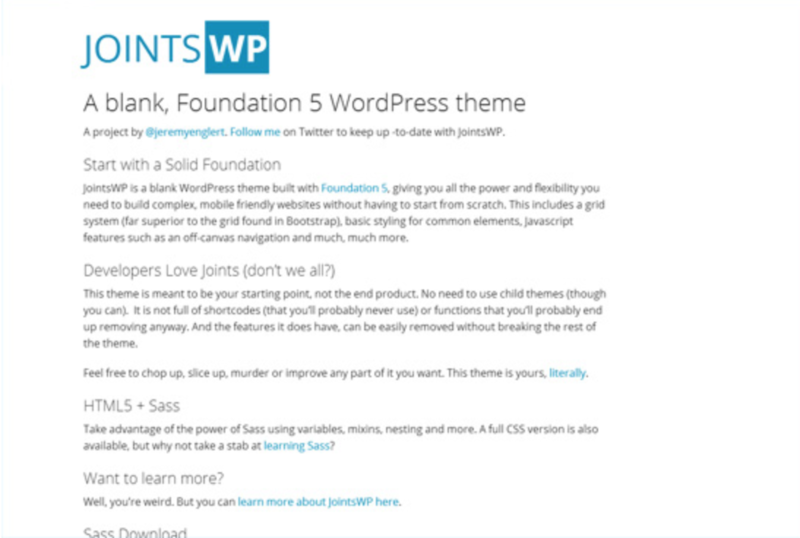 This is a free blank WordPress theme which is built by Foundation 5. Powered by WordPress, the theme gives you all the flexibility of building mobile-friendly and the complex websites. The best part is, it has a grid system, which saves a lot of time and effort. Responsive is a flexible theme built on a strong foundation of the grid system. The system is highly powerful and adapts your website to mobile devices, laptops, tablets, and desktops. This theme features 11 widgets, nine page templates, four menu positions, and six template layouts. 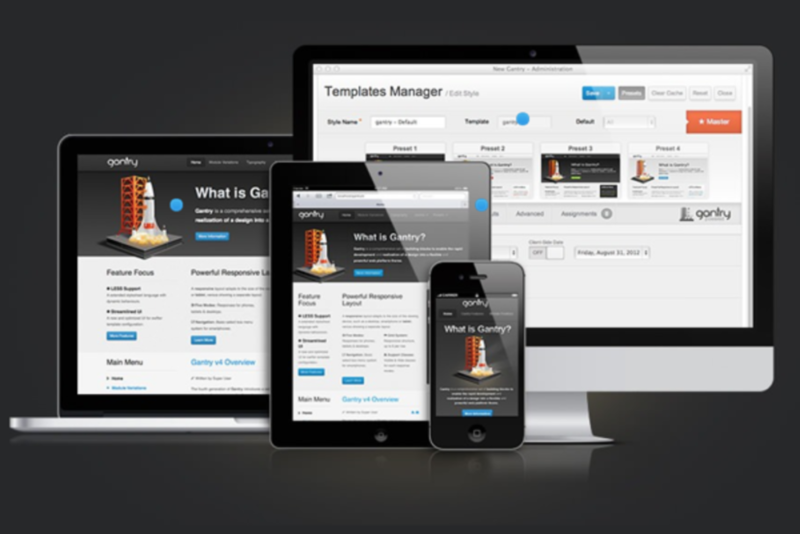 It provides powerful yet simple theme development with full CMS control. 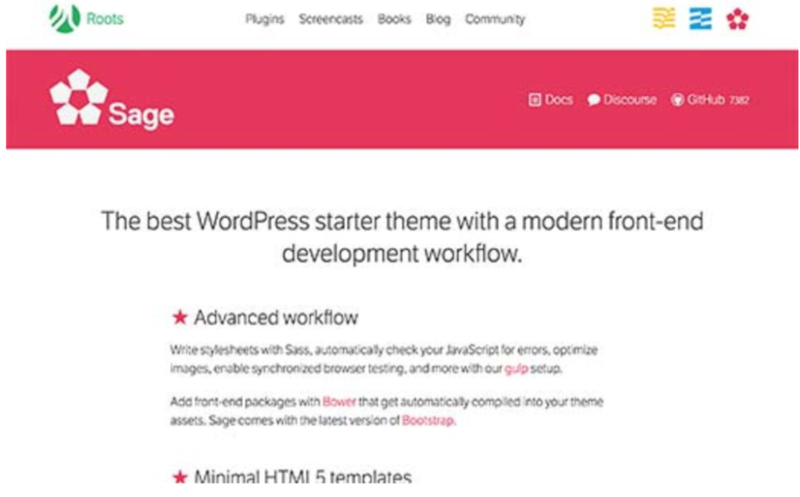 Sage is another powerful starter theme that features modern workflow and elegant design. With this, you can freely utilize all modern theme designing technologies such as Bower for integrating front-end packages. 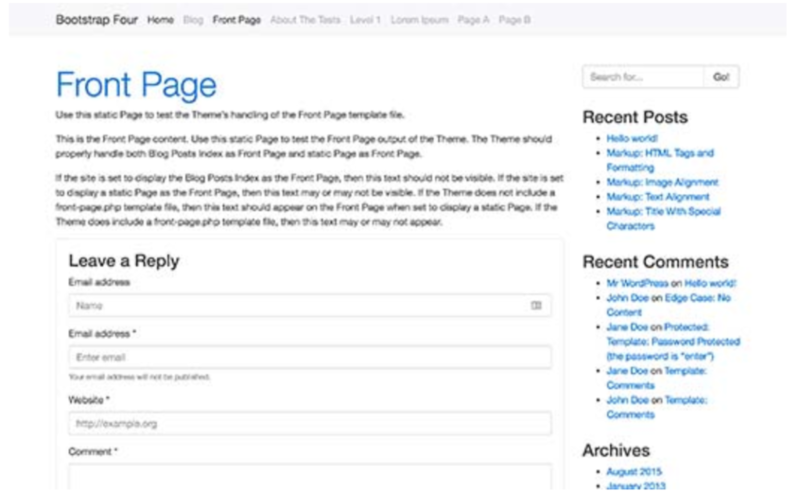 Built on the latest version of Bootstrap, the theme possesses a unique feature which is its single template file. The theme reduces your efforts as it does not demand to edit the numerous files to integrate a web layout. 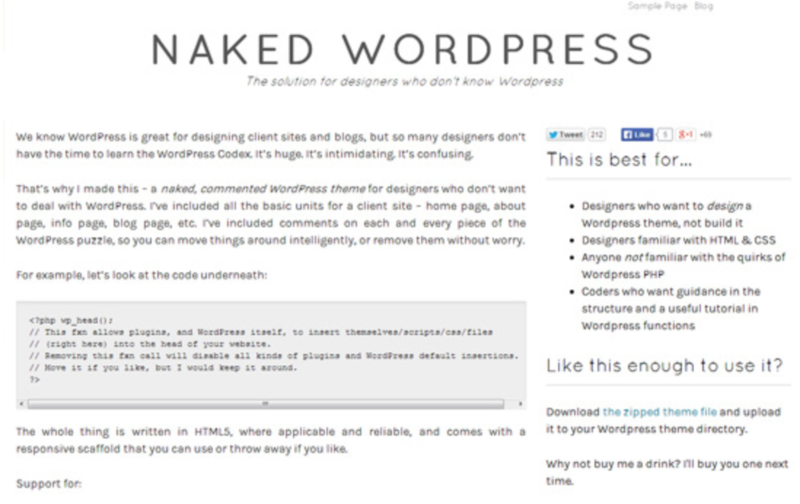 Naked is the next base theme which lets users learn how to develop themes for websites. This theme makes theme development easier than ever before as it assists users to learn each and every aspect of the theme development phase. Bootstrap Four is a blank WordPress theme built on Bootstrap 4 framework. It has a clean base that is easy to learn and modify. It provides a better environment to build a beautiful theme integrated with required features and functionalities. 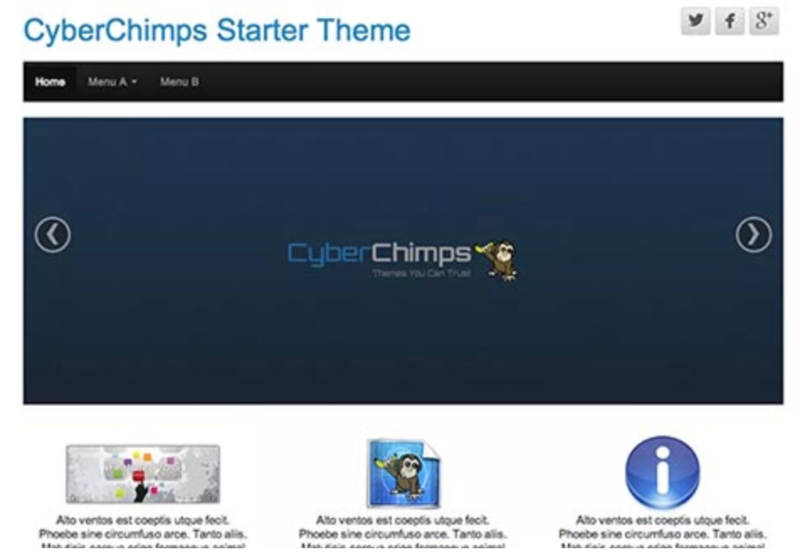 If you wish to build a creative yet beautiful theme, you can count on CyberChimps. 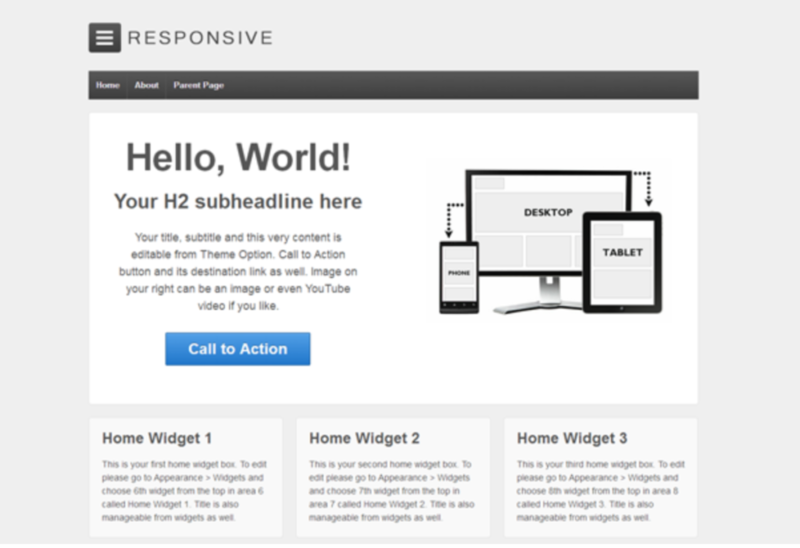 It is a responsive starter theme on Bootstrap. The theme comes with a drag and drop option panel, that you can even customize using a touch screen. Unlike other blank WordPress themes, Gantry is a comprehensive set of building blocks that enable the rapid development of a design into a powerful web theme. You can take advantage of this theme by developing and modifying the designs with ease. In conclusion, blank WordPress themes ensure an easier and faster development process. To reduce your hassle and to make your development effortless, you can choose any of the listed theme/framework of your choice. Surely, you will get enhanced development results that your users will admire. Williams Heilmann is a WordPress developer and working with PSDtoWordPressExpert from past 4 years. He is passionate and sincere towards developing creative WP themes. In leisure time, he loves innovating different other aspects of WordPress and shares them as an interesting write-up with the people.